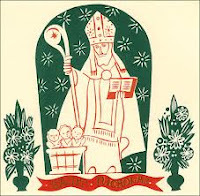 Tomorrow, December 6, is the feast day of Saint Nicholas; a holiday celebrated by children all over the world, who put their shoes out for St. Nicholas to fill with goodies. I looked forward to this day when I was a girl. Saint Nicholas was born a Greek in an area of Asia Minor that is now part of Turkey. There are several legends associated with this man, the most famous of which is the story about a poor man with three daughters who would have been forced into prostitution since they had no dowries for marriage. 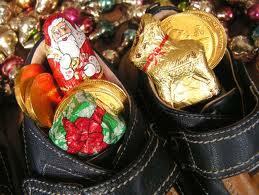 St. Nicholas threw three bags of gold through the window late at night and the courses of their lives were changed. Another, much more gruesome story is one that takes place during a terrible famine that struck the land: An evil butcher lured three children into his home, where he killed them, and planned to sell them as ham. Saint Nick found them, rescued them, and reincarnated them. What kind of person would steal a child? 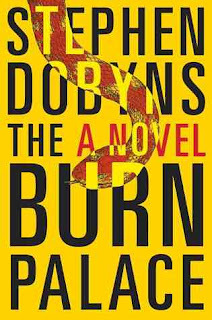 This is the question that unsettles the mind of Rhode Island State Police Detective Woody Potter of Stephen Dobyns's The Burn Palace as he drives through the empty streets to his local hospital where, at present, pandemonium reigns. 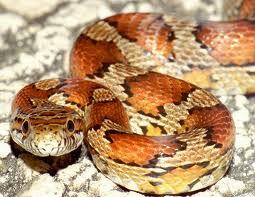 While the nurse in charge of the nursery went on an unscheduled break, someone went into the room where her charges slept and exchanged a baby for a six-foot snake the colors of Halloween candy. Nobody thinks straight when they are in a panic, and by the time Woody gets to the scene of the crime, the story is that the hospital is crawling with snakes and the most unusual report of all is that the mother is happy the baby has been taken, because it is apparently the spawn of Satan. This is our introduction to the sleepy little town of Brewster, in one of the nation's smallest states. It seems to be just the kind of place you might have liked to pick up and move to––even though there is only one coffee shop. There are some charming people here, but there have been some noticeable changes recently. 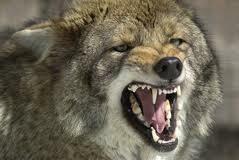 Previously nice Carl Krause has taken to growling at people, a teenage girl has been acting strangely, and coyotes are prowling around the town at night dining on any pet left outdoors. The numbers of the wolf-like creatures being reporting are rapidly increasing. 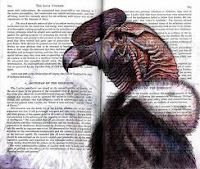 One night, my favorite little character, Hercel, a 10-year-old boy, is chased by a pack of the animals, and he is sure they had him on their mind for dinner. Old Maud, an inmate of the local nursing knows that for one thing, too many people are dying long before their allotted time. Before the dust settles on this bizarre kidnapping, an insurance investigator who is looking into something in Brewster, but who knows what, is found murdered and locked in his car in a lonely field. For some malicious reason, Ernest Hartmann has also been scalped. 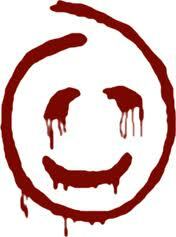 The killer then left a mocking symbol on the car window, dripping with blood. Jean Sawyer, who works at the Brewster Brew, hears all of the customers' wild theories, which include insanity, Indians, kidnappers, black magic and free-floating malice. But the most voiced opinions are that since both of these crimes are equally outrageous, they must also be connected. Before long, townspeople have begun throwing stones through the windows of local practitioners of Wicca. Although the FBI is in on the case, because of the kidnapping, Woody is mainly working with Bobby, another State Police Detective who is also a good friend of his. More unrest is settling over the town as new evidences of a disturbed mind are found around town. As the investigations continue into these events, Woody gets more uneasy and realizes that what he is feeling is fear. This is a new emotion for the detective. In Iraq he felt terror, but this was different. It was a sensation that clung to him and messed with his mind. Others are being consumed by the fear as well, such as young Hercel who, together with his sister, runs from the now-overtly-crazy Carl, who plans to catch them and eat them if the coyotes don't get them first. Where is St. Nick when you need him? 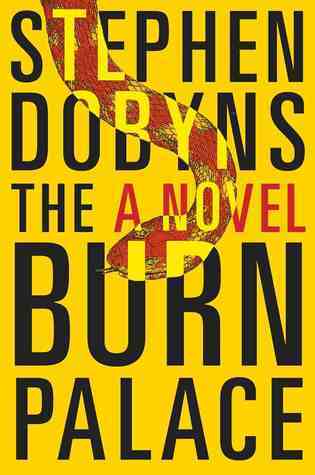 The Burn Palace starts out at a slow meandering pace, much like the sleepy town in which the story takes place. But, subtly, there is a growing sense of apprehension as the narrative picks up speed when it becomes evident that there is a presence of wickedness in this bucolic haven. Dobyns depicts a remarkable juxtaposition of a healthy hamlet populated with everyday good folks, and the maleficent individuals who live among them using their ordinariness as camouflage. Initially, the creepiness factor is minimal, but the disturbing atmosphere swells as the pages flip. All of the characters are so well drawn that they seem like familiar people from your own hometown. Most of them are likeable in one way or another, and if this were the start of a series I would wait with bated breath for the next story. As it is, I will keep this book to reread in the future. Stephen Dobyns is a very prolific writer, with 30 books to his credit, including some poetry collections. I know him best from his racing books with Saratoga in the the title. But I am going to look at his other books like an unexpected treasure I have just unburied. The Burn Palace will be published on February 7, 2013 by Blue Rider Press. Note: A complimentary copy of this book was given to me for review. I have reviewed or will post reviews of this book on Amazon, Goodreads and other sites under my user names there. "Previously nice Carl Krause has taken to growling at people..."
MC, I think this is the money quote for the holiday season. I'll try to use it sparingly but judiciously.